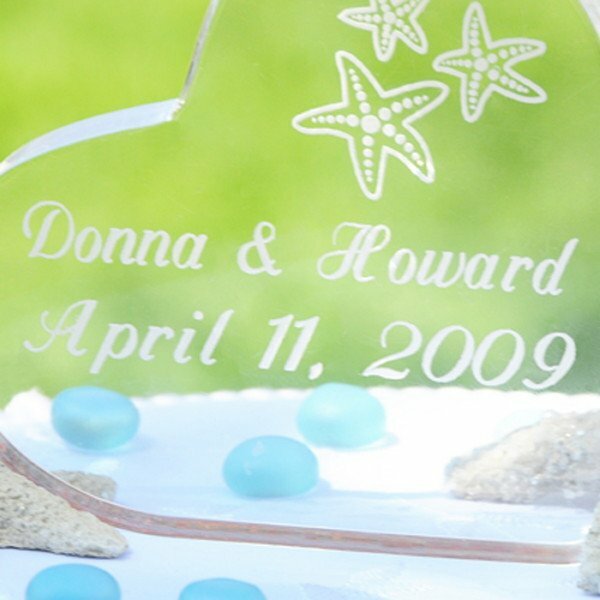 Top your cake with our beautiful heart-shaped personalized beach wedding cake topper. 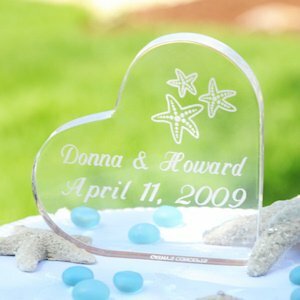 Perfect for a destination wedding and any style cake or decor, each acrylic topper is engraved with a starfish design and your own two lines of personalized text. 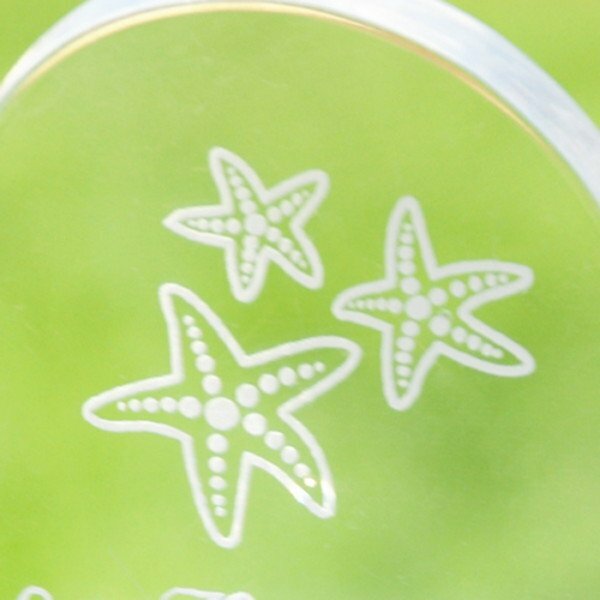 Topper measures 4 inches by 4 inches by 1/2 inch thick. 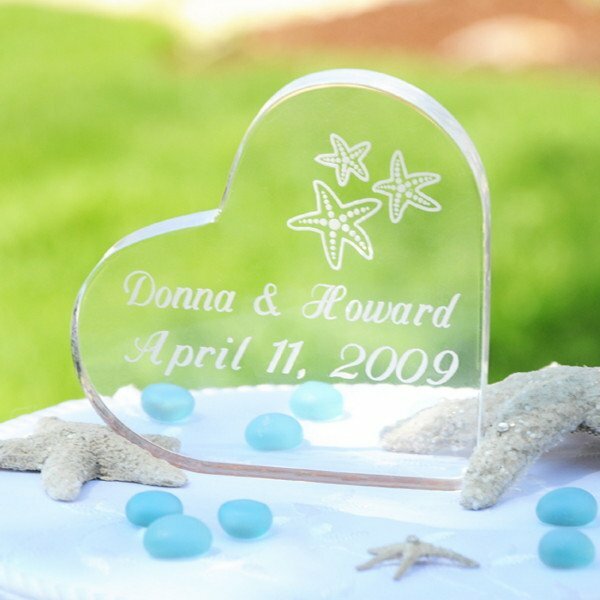 After the wedding is over you will be proud to display this timeless piece as a cherished keepsake of your special day.